Students can pursue two tracks of study in the Undergraduate Pathways Program - the Degree-Seeking Pathways Program or the Study Abroad Pathways Program. 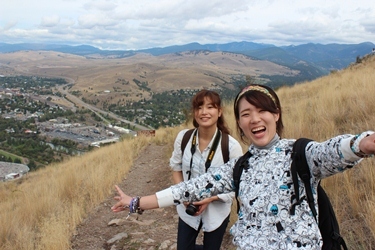 Prepares students to pursue a degree at the University of Montana. Requirements Students must study through ELI to achieve a TOEFL score of 525 or higher by the end of the first academic year. If the TOEFL score is not achieved, the student will return to ELI. How do I apply for the Pathways Program?